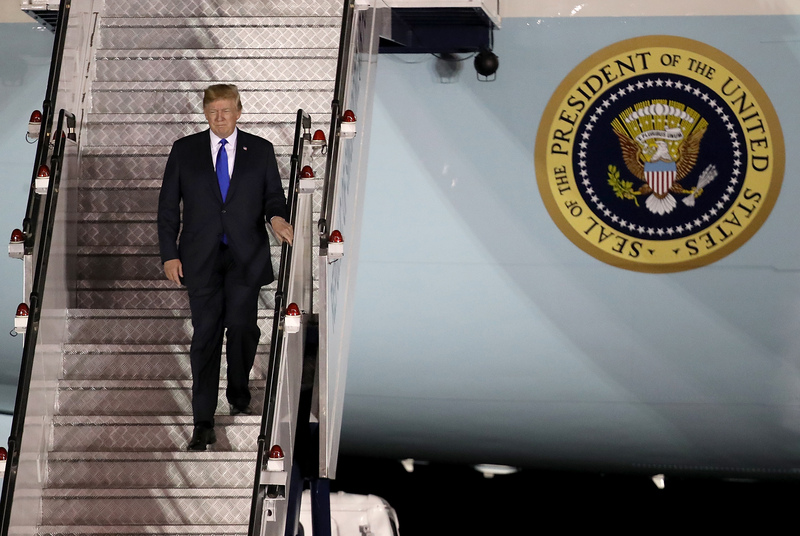 Donald Trump arrived in Singapore at 8:21 p.m. local time for a historic meeting with North Korean leader Kim Jong Un. He flew in from Canada where he had been attending the G-7 summit. 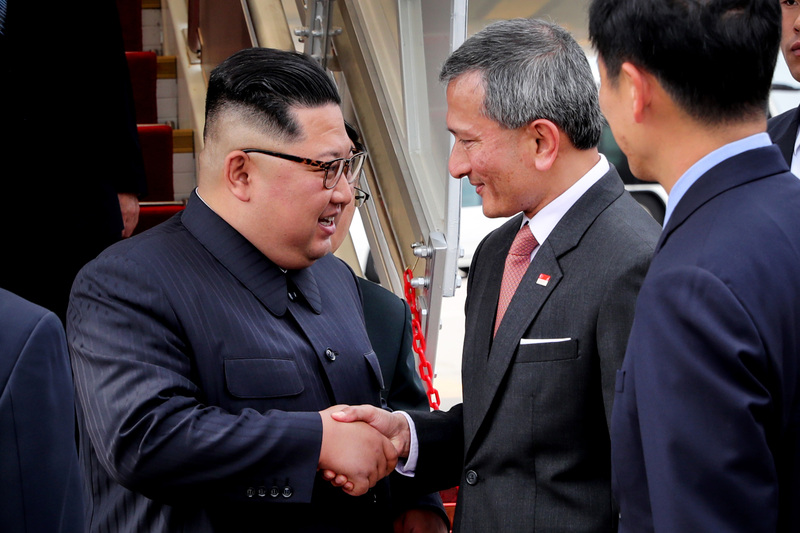 He was greeted by Singapore's Foreign Minister Vivian Balakrishnan, who had previously met Kim Jong Un earlier in the day. Trump's heavily guarded motorcade delivered him to the Shangri-La Hotel where he is reported to be staying. Buses with Secret Service and military personnel were noted to have arrived at the hotel in the prior days. Trump will be staying in the same suite as former presidents Barack Obama and George W. Bush. Trump and Kim will meet at the Capella Hotel on the island of Sentosa on Tuesday morning. Trump's goal is for Kim to agree to give up North Korea's nuclear weapon arsenal. Trump has boasted that he will know within one minute if the North Korea summit is going well based on "my touch, my feel." Trump said on Thursday that he does not believe he needs to prepare for this highly-anticipated meeting, as it is a matter of attitude. He considers this a one-time opportunity for Kim and has said that he feels optimistic about the upcoming meeting. Kim Jong Un landed in Singapore five hours earlier today. This 3,000 mile journey is the furthest taken by Kim since 2011 when he became the supreme leader of North Korea. He will reportedly be staying at the St. Regis Hotel while in Singapore, a 10-minute walk from where Trump is staying. Experts have divided opinions about the summit and what we can expect from it. Both Trump and Kim are known to be unpredictable. Kim is looking to improve North Korea's economic situation and is hopeful that the US will agree to lift its strict economic sanctions in exchange for surrendering its nuclear stores. Trump has said that he will consider inviting Kim to the White House in the future if all goes well in Singapore this week.